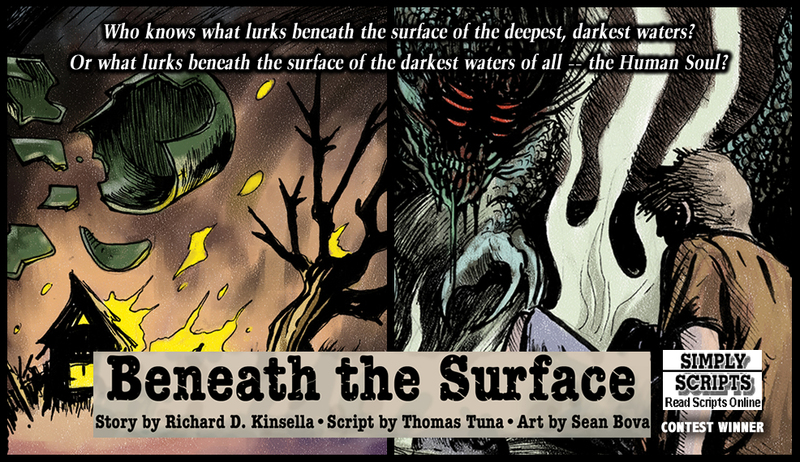 Beneath The Surface (3 page comic script in pdf format) adapted by Thomas Tuna from Richard's script. About the Writer: Richard D. Kinsella is a multi-award winning Director and Screenwriter from Manchester, UK. A restless soul who has circumnavigated the world twice and has visited 110 countries in his relatively short and increasingly surreal life, he is currently putting the finishing touches to a feature script he hopes to film next year. Check out his IMDb credits. Rick can be reached at scartissuefilms at gmail. 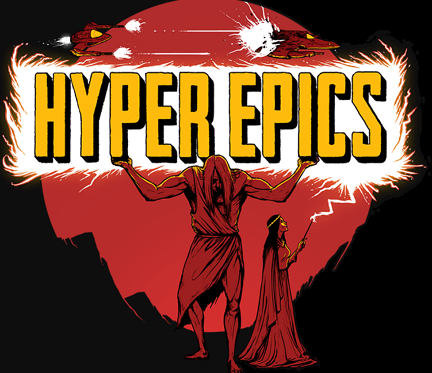 About Hyper Epics: Home of the 3 page sagas, Hyper Epics is a bold anthology series that offers diverse and exciting comic book stories on its website - http://www.hyperepics.com - and in print form. Each original story is packed with stunning artwork, memorable characters, and captivating stories enhanced with dazzling soundtracks. It is quickly becoming a go-to destination for readers worldwide. SimplyScripts is a Patreon supporter of Hyper Epics. Congratulations, Richard! Beautiful adaptation and imagery. Very cool. It looks great! Fantastic artwork. Congrats Richard, and props to Thomas Tuna and Sean Bova of Hyper Epics, the comic looks great. Congrats, Richard! Yours was one of my favs. The comic looks great, specially the monster. Absolutely awesome! Looks great and reads well. Excellent choice and very well done. Congrats! Very well adapted. Congratulations to all involved, especially to you Richard, very well deserved. So you can see how the sausage is made. OMG this is AWESOME!!! Even better than I expected and what a coolness to have your story put to comic! Man I'm in love with this!! GREAT job to the writer and Hyper Epic!! Yeah, it's really great. It's amazing how quick their turnaround is as well to create something so professional. Will read the short soon. Finishing up some work tonight, but looking forward to it! That's a quick turnaround and they've done an amazing job. It's really dark and works extremely well in the short comic format. Congratulations Richard, you must be so pleased.